Beauty Salon Gift Certificate from Paragon Beauty Salon is an appreciated and easy gift that works for any occasion. Birthdays, Valentine’s Day, anniversaries, Mother’s Day, graduations and baby showers. Also it is perfect as a show of appreciation for people you work with. Make someone’s day by sending an eGift Card for smiles in an instant. They’re great for people who love beauty salons and spas. However, people who haven’t ever tried one will be the happiest of all. Paragon Beauty Salon is full service salon for men and women. So Paragon Salon gift certificates work for guys, too. When Christmas time comes we are all so busy. Last minute gifts that are appreciated is hard thing to find. But with our beauty salon gift certificate you don’t have to worry about that. Just a few clicks and you are all set. Order a gift certificate online by choosing a dollar amount. 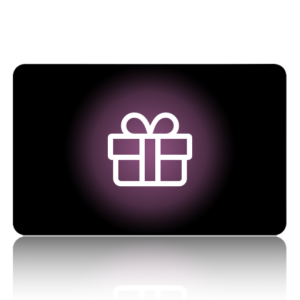 Instantly email the spa gift certificate to the recipient or download and print from your computer. It’s that simple! With no fees, no expiration date. Safe and simple the Paragon Salon Gift Certificate is a perfect way to reward someone special or purchase one for yourself. Also our Gift Certificates are available in a variety of amounts to fulfill any need. Please present Gift certificates at time of purchase. Gift cards are not redeemable for cash and are not refundable. Paragon Salon gift card cannot be redeemed for gratuities or to purchase another gift certificate. If an order exceeds the amount of the recipient’s gift certificate, the difference must be paid with a credit card or other accepted payment method. Paragon Beauty Salon is not responsible for lost, stolen or damaged certificates or any unauthorized use.